A true gem, this rose cut diamond enamel and coral vintage Victorian locket necklace is full of sentiment and intricate details. 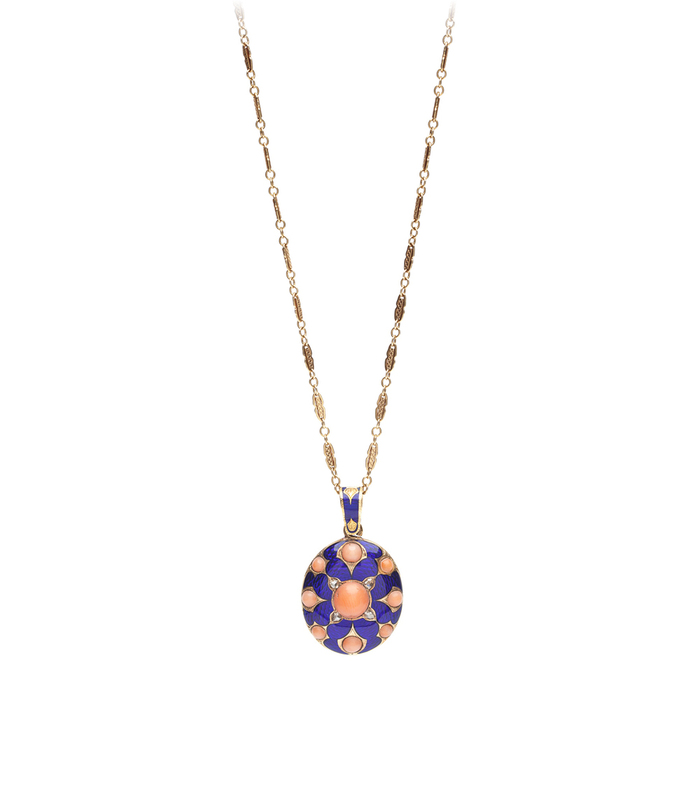 Beautifully crafted in 15K gold, featuring blue guilloche enamel, coral cabochons, and rose cut diamond accents. The reverse of this piece holds an opening compartment ready to keep a photo of your loved one close to your heart. 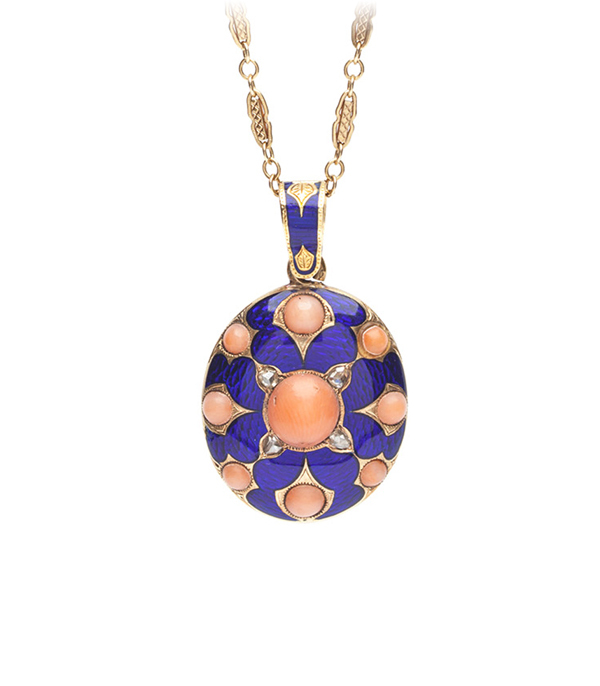 This rose cut diamond enamel coral vintage Victorian locket necklace makes a fashionable statement, in royal blue and light pink yet holds a romantic secret at its heart that is ages old.